This one depends whether they were in agreement to get married ahead of time, and he just did not have to contribute to the arranging, which is a very different scenario than not agreeing to marry in advance, and being completely surprised by the whole thing. It was stated he was her fiancee, which makes me think a proposal happened sometime before this. It’s weeding, read it again. This marriage will definitely last. Looks like he never got his bachelor party. 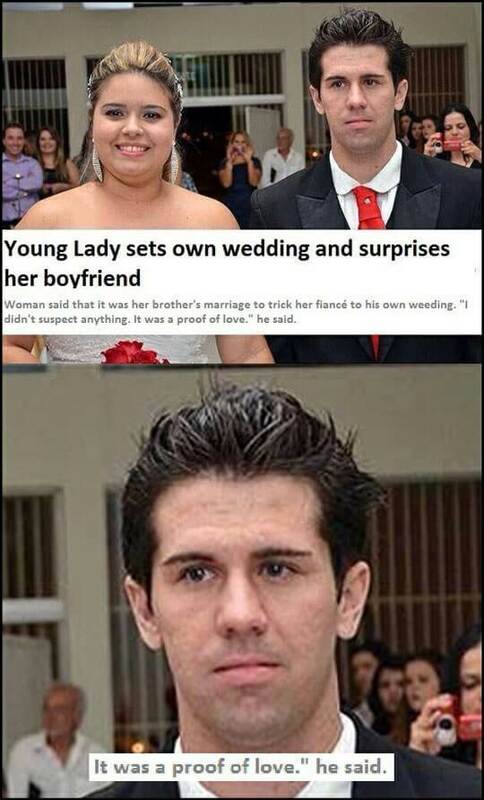 Tricked her fiance into going to his own “weeding”?